Green Light New Orleans | GET GREENLIGHTENED! 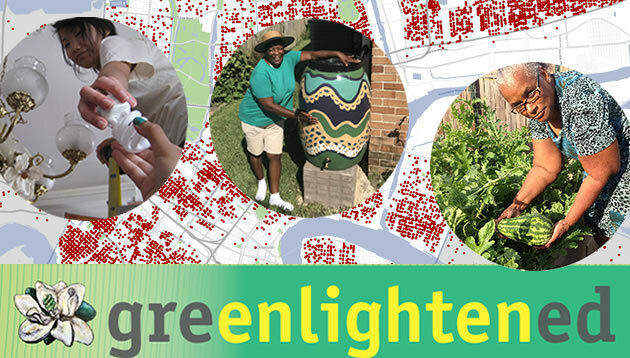 Become a Green Light New Orleans supporter. GET GREENLIGHTENED! Become a Green Light New Orleans supporter. Become a Green Light Family Member and help provide a consistent financial base for our organization. We can’t grow gardeners without you. We can't create a rain barrel movement without you! "I am very excited about my own garden and very grateful. I am very excited about my first harvest of cucumbers and summer squash! In these hard times it always helps to get a little extra help to put good food on my plate." -Ella, participant, pictured above with her very first homegrown cucumber. Please include your name and mailing address, if different from billing address, so we can send you your welcome gift and acknowledgement letter for your tax records.